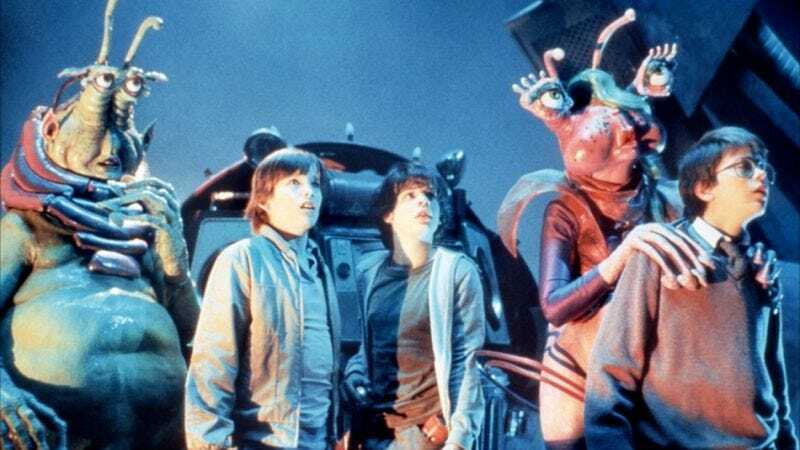 Joe Dante’s sci-fi family film Explorers didn’t get a fair shake when it was released in 1985. Hoping for a summer blockbuster, Paramount executives pushed up the film’s scheduled release date from late August to mid-July and told Dante to just use the rough cut he submitted to the studio that spring. The results were predictably disastrous—Explorers quickly disappeared from theaters after an abysmal opening weekend. But the film survives as a minor cult classic, thanks to Dante’s reputation and the fact that it marked the feature debuts of both Ethan Hawke and River Phoenix. Now Paramount is planning to re-make Explorers under its low-budget Insurge imprint, with Mission: Impossible—Ghost Protocol writers Josh Appelbaum and Andre Nemec producing. Better Living Through Chemistry writer-directors Geoff Moore and Dave Posamentier have been hired to write the script. Those are all the details Paramount is willing to divulge for now, but according to The Hollywood Reporter, word around the studio is that the remake will be similar in tone to Dean Israelite’s upcoming teen time travel movie Welcome To Yesterday. The original Explorers is currently available to stream on Netflix.